Originally known as “Back of Town,” Faubourg Tremé is one of the oldest neighborhoods in the city of New Orleans. Know as the birthplace of jazz, today Tremé is home to many modern day musicians and artisans. 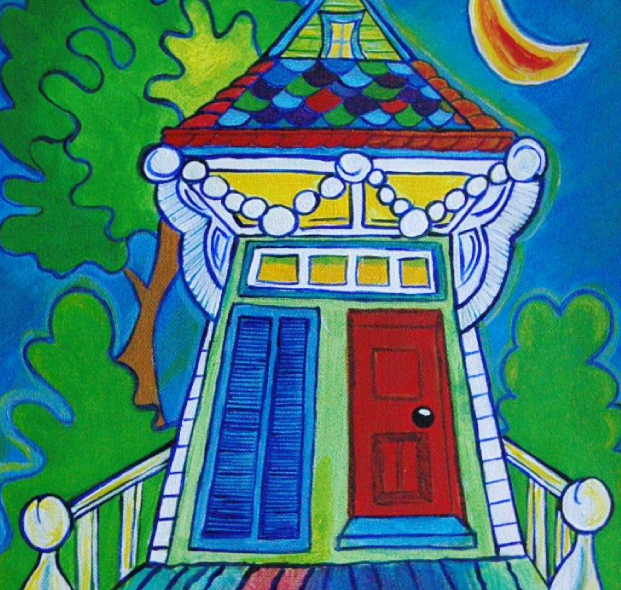 My first painting in the series, Kerlerec Street, is a beautiful representation of New Orleans’ unique architecture. Kerlerec Street is based on the Doullut Steamboat houses located in New Orleans’ Holy Cross neighborhood. Built by a steamboat captain in 1905 and 1913, the two homes feature huge beads that resemble Mardi Gras beads. So unique!